With a long and storied European history, the Thonet No.18 bentwood chair is considered the quintessential Viennese café chair and dining chair. 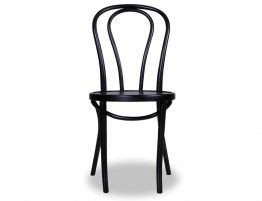 The Thonet No.18, also commonly called the Vienna Café chair, was produced by Michael Thonet and Sons. 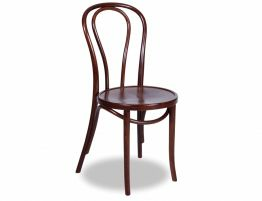 Thonet, a German cabinet maker, pioneered the use of bentwood furniture design. His experiments with the new forms used steam to make the wood bendable. 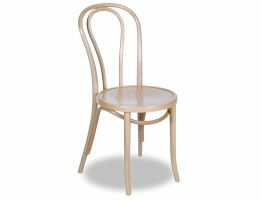 Thonet’s bentwood designs were created with one piece of wood forming the chair’s back rest and back legs, then a separate seat and front legs attached. This model has informed the design of every bentwood chair that followed. The Relax House authentic Michael Thonet designed originals are made in the very same factory that has been bending wood for Thonet for over a hundred years meaning our chairs are made the same way, in the same place, by the same people. 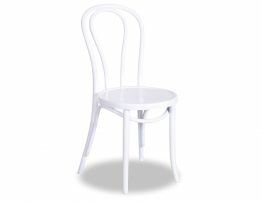 The same quality that has defined the designs of Michael Thonet for well over a hundred years is still applied. 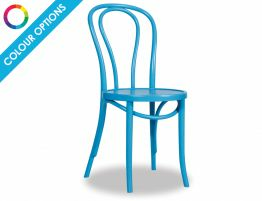 Time decides great design and Thonet’s collection of chairs continues to be a staple of design. Unchanged for over 100 years, the No.18 Vienna Café chair is one of the world’s most recognisable chairs. The Thonet No.18 Vienna Café chair was likely sat upon by such famous Viennese as Sigmund Freud, Gustav Klimt and Gustav Mahler as they wrote of the unconscious, sketched dreamlike nudes and penned their symphonies. Thonet’s No.18 Vienna Café chair is still a design classic a hundred years later.